The National Association of Tower Erectors (NATE) today announced the member companies who have been formally approved to participate in the STAR Initiative program for the 2017-2018 year. The NATE STAR Initiative is currently entering its seventh year and is the Association’s signature program designed to help companies operate safely and recognize tower contractors, owners and carriers who voluntarily adhere to higher safety standards. The NATE STAR Initiative emphasizes Safety, Training, Accountability and Reliability by requiring participants to commit to requisite levels of training, site safety audits and the implementation of safety programs while adhering to industry best practices. STAR Initiative participants also receive discounts on designated training courses offered on the NATE EXCHANGE, a dynamic website platform connecting companies to training courses offered in the tower industry. Participating companies also can utilize the STAR Initiative App designed to enhance their program experience and provide a convenient means of submitting Site Safety Audit documentation in real-time directly from the field via smart phone, tablet computer or other mobile devices. The official NATE STAR Initiative App is available as a free download in both iOS (Apple) and Android platforms. “The listing of approved 2017-2018 NATE STAR Initiative participants represents an elite group of companies that are committed to adhering to the most stringent safety and quality requirements that exist in the industry,” stated NATE Board of Directors member Randy Scott from Muskogee, Oklahoma. 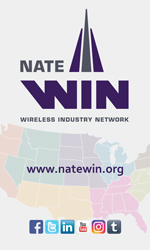 “Additionally, the comprehensive tower-site audit data the Association has been able to collect through the STAR Initiative program has enabled NATE and participating companies to proactively identify tower-site hazards and rectify them in order to protect the industry’s elevated workforce and ensure that the work is done in a quality manner,” added Scott. “NATE is excited to have accepted 138 participating companies in this year’s STAR Initiative enrollment period which represents a record number of companies since the inception of the program,” said NATE Resource Manager Nikki Gronau. A&J Steel Reinforcing Services Inc.
Dona Ana County Communications Dept. 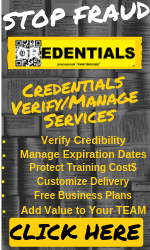 E.M. Enterprises General Contractors, Inc.
Excalibur Builders and Maintenance, Inc.
R & M Electrical Telecom/Maint., Inc.
RIO Steel & Tower, Ltd.
Viking Maintenance dba Finish Tower, Inc.
Additional information and contact information regarding these 138 companies can be found in Wireless Estimator’s Blue Book directory.